Your billing settings are available within your account preferences. 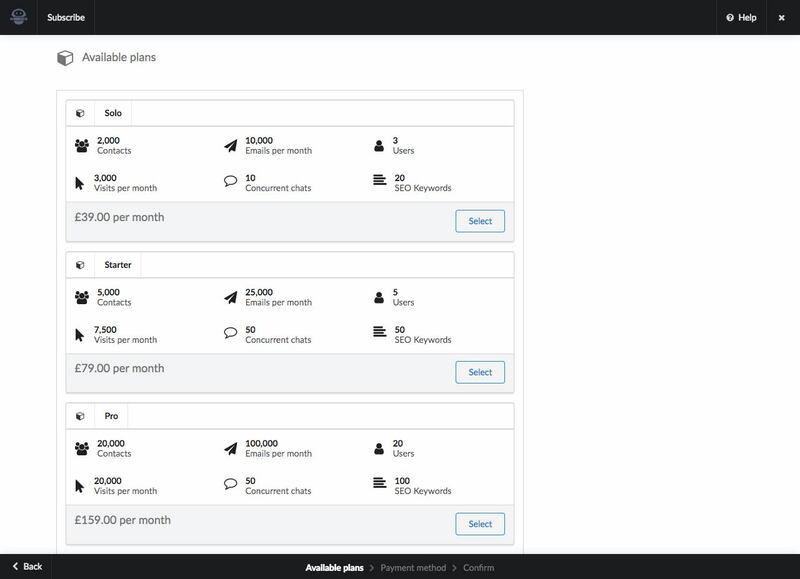 If you are not subscribed to a paid plan you will have the option to create a plan subscription. If you are subscribed you will be able to manage or cancel your subscription, payment method, access invoices and billing history.